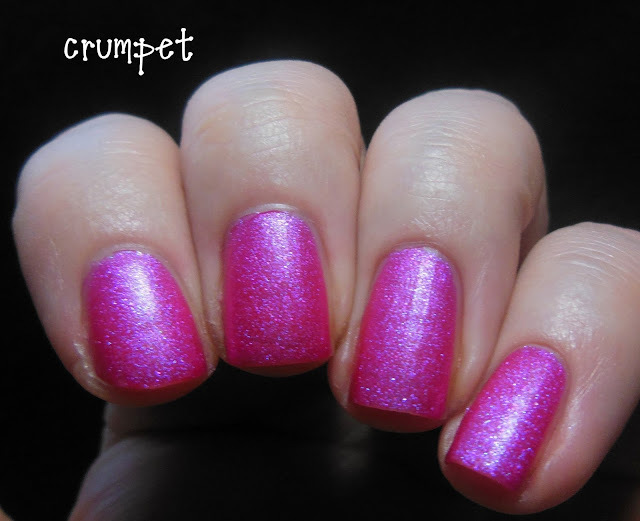 If today's post is awesome (and I do think it is, a little), it has nothing to do with me, but everything to do with the polish and the wonderful Sally Magpies, who included this baby for me to review when I made my first order. 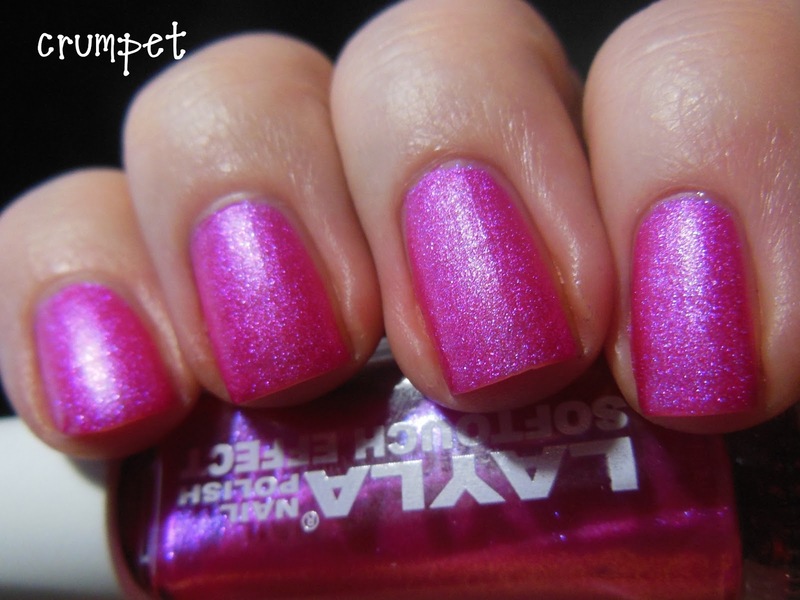 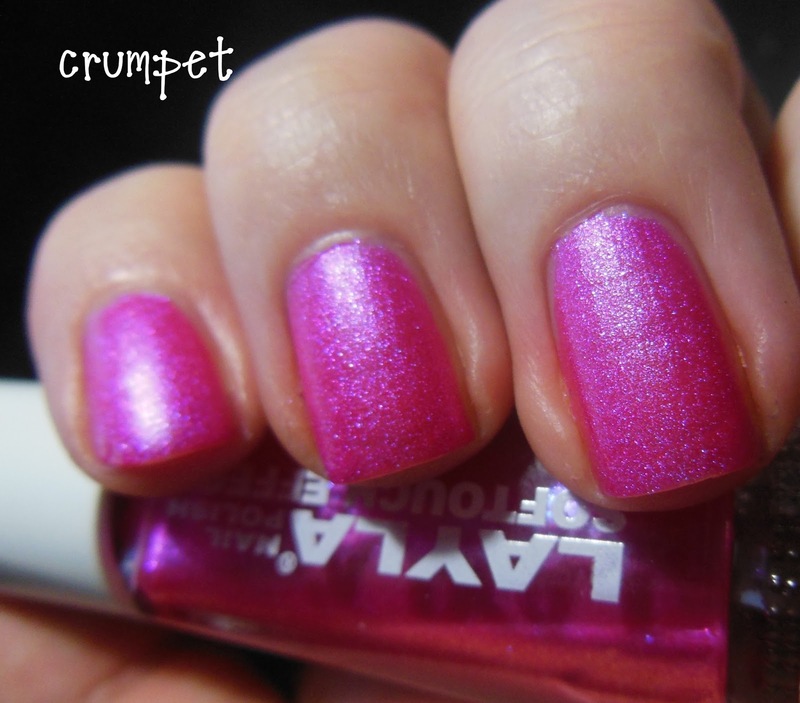 The polish is one of the Layla Soft Touch polishes and this one is called Neon Pink. 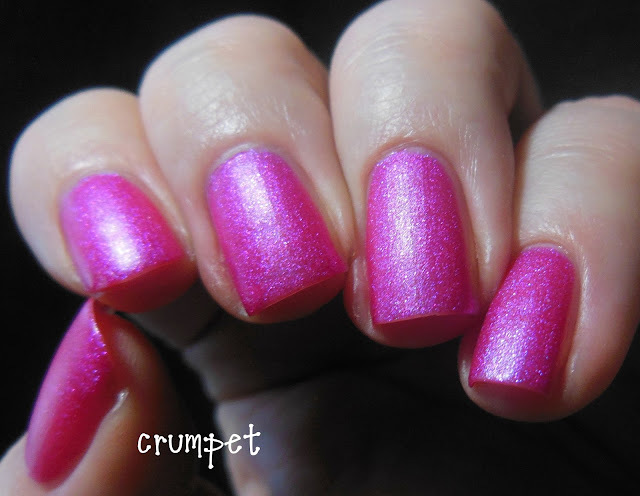 If you haven't tried them yet, the STs are really interesting, and remind me a lot of the OPI Suedes. They dry to a textured matte finish, but the texture is within the polish, rather than vertical (ie it's not like the new textured polishes). 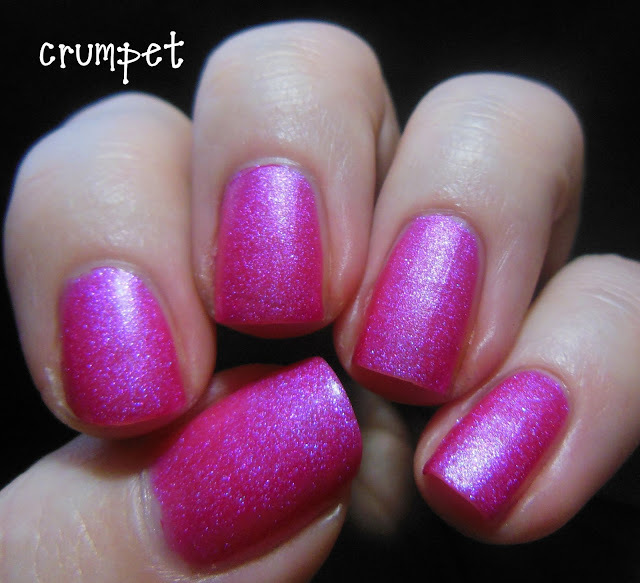 This polish is what my Grandad would have called Sky Blue Pink. It is an insanely delicious and bright pink (which somehow looks all the better for being matte), laced with aqua blue shimmer. 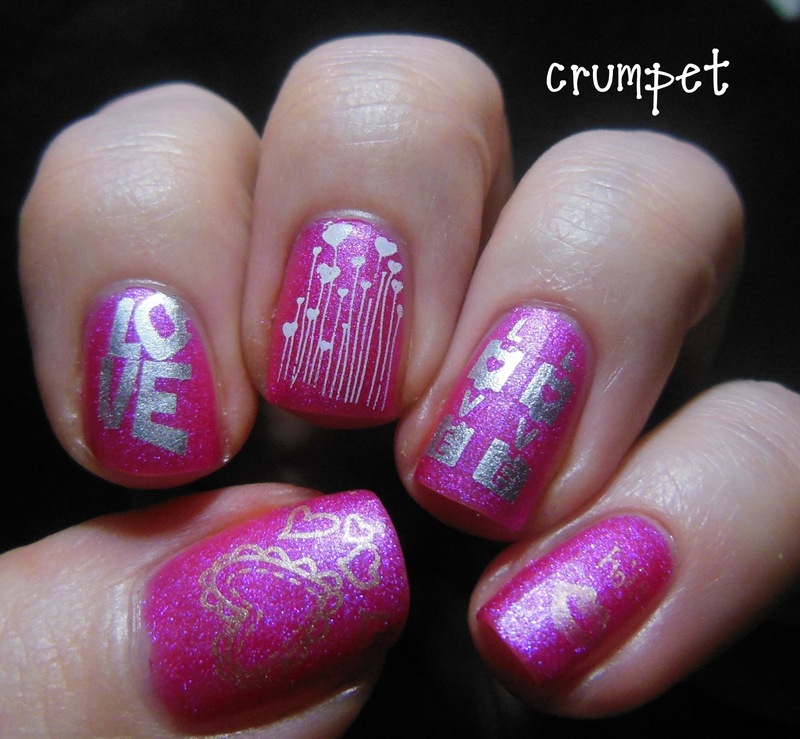 It's a stunner, it really is. 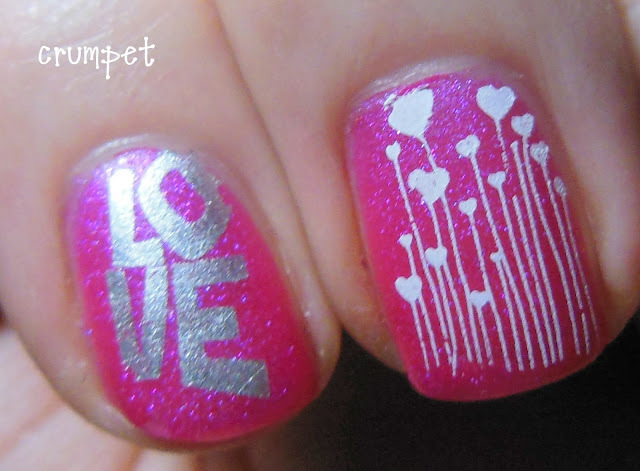 On to this, I then did another stamping skittle. 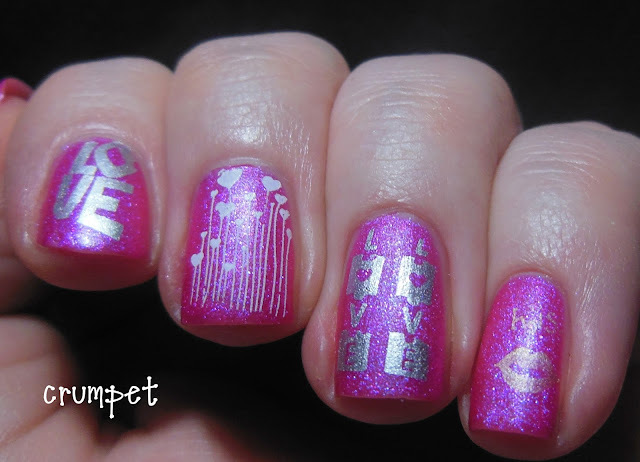 Although you can't see it too much, the stamping is in a mixture of white, silver and gold. 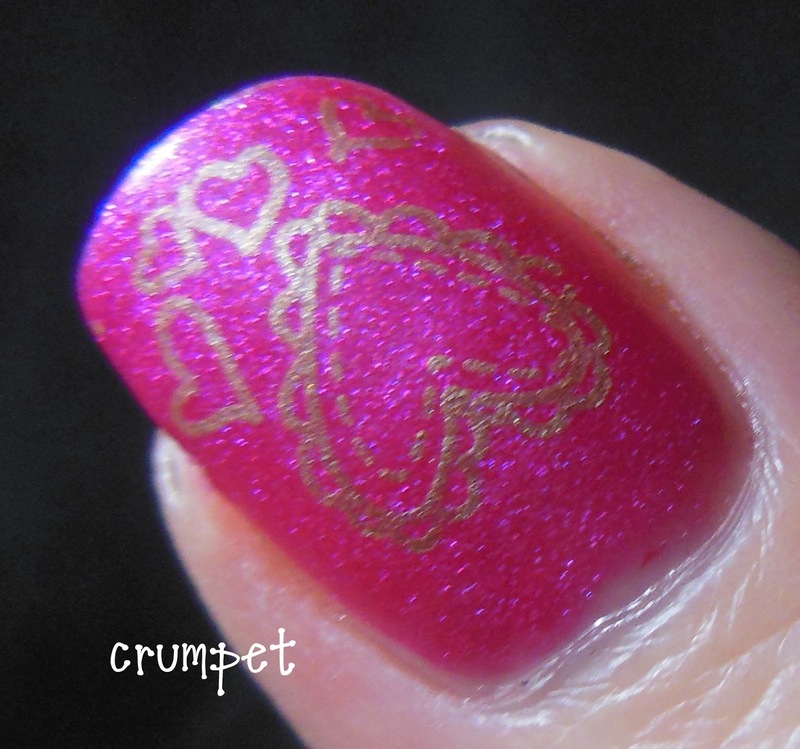 I love all the fingers, but the embroidered heart on my thumb is one of my favourites. 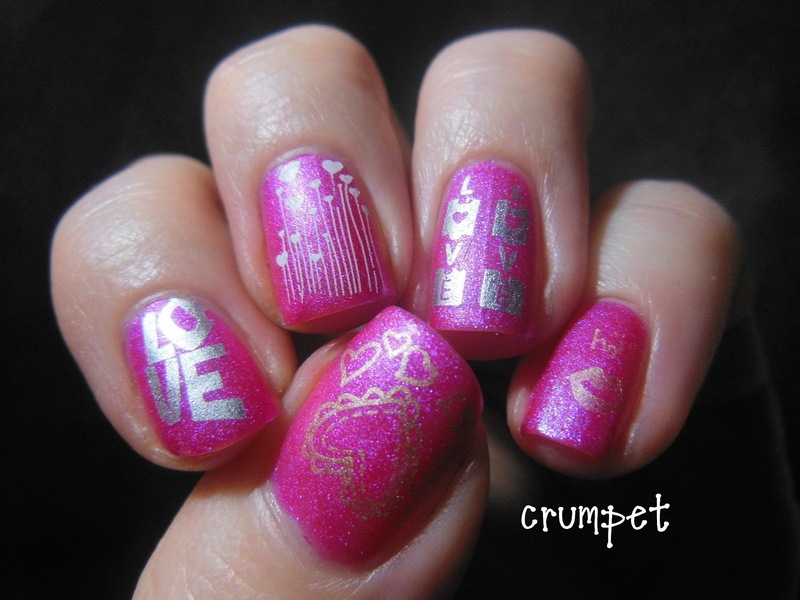 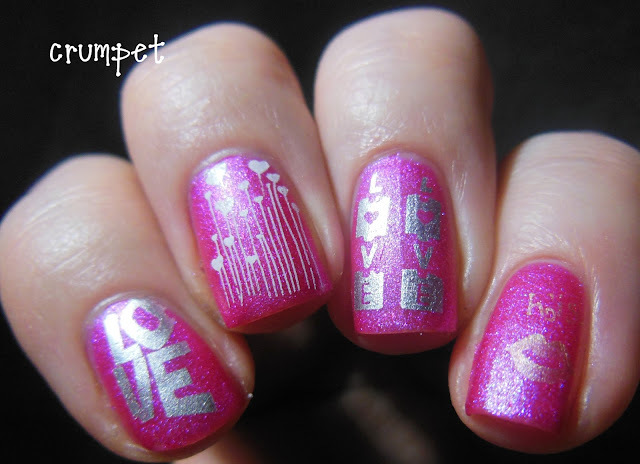 I also love how the stamping doesn't diminish the base polish - you still get the wow factor of the polish, and who doesn't love hot pink on The Day of Love ?